We should never violate international law, but see how it can be actually applied in reality. There are of course limits. There is a big difference between the concept of being a refugee that gives the automatic right to international protection, asylum, and being someone who, understandably, would like to migrate to another country. International law provides the right of asylum and the international convention of refugees, which most states signed, provides few exceptions to this. For instance, those who committed genocide cannot be offered protection as refugees and given asylum in another country. However, the number of people moving from the south to the north is sufficient and we should be very careful in this, because if we consider that everyone has the right to migrate, we might be making a mistake. Humanitarian protection is something we owe to everyone. However, it should be temporary, at least theoretically. Are we able to provide it to people in need and there are many of them at the moment at the gates of Europe? If we are not able to do it, we should make it so that we can, even temporarily. However, we cannot just have the doors opened without any limitation for all those who knock at the door. We must serve and respect people, protect every life. We should organise our policy on the national, international and supra-national levels, and at the level of every single state, in order to help societies that are in need. One aspect is economic, but it is not the only one. Most people looking for migration come from countries with the worst government effectiveness? We shouldn’t just provide money to these countries. We need societies of freedom, equality, rule of law and true good governance. Otherwise, we will still have millions of people trying to escape from these countries. People are looking for countries where there is more freedom, but are those looking for freedom for themselves respecting the freedom of others, for instance the inhabitants of the countries where they are welcomed. For instance, they should respect the fact that men and women enjoy the same rights. We have to explain to them that there are rights and duties to be respected. Our governments, societies and NGOs should have best practices. In conclusion, the title of this event asks us to recommend principled policies and actions leading to sustainable methods for peaceful coexistence. We have to have dialogue and propose to states, parliaments and governments to adopt methods like these and accept that each of us has multiple identities, so it is necessary to consider which of them is the most important in a certain context. Let’s determine to help our friends, wherever they are, to understand that we have a common identity in that friendship with one another. Dr. Stango is an Italian political scientist and lecturer in International Law and Human Rights. 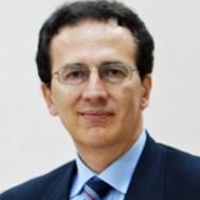 He is the secretary general of the Italian Helsinki Committee for Human Rights, and a member of the Global Peace Council of the Italian League of Human Rights and of several other NGOs. He regularly attends the UN Human Rights Council in Geneva. From 2003 to 2006, he was the Project Director of Freedom House Kazakhstan Human Rights Training and Support Program. He is the author of numerous publications.